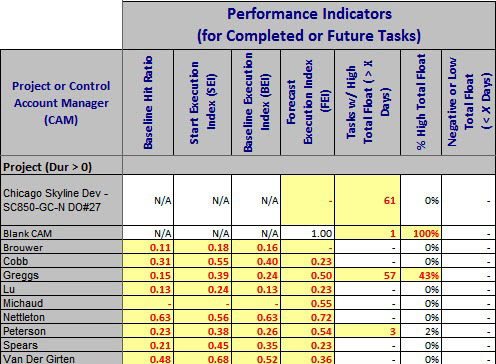 Our Microsoft (MS) Project Integrated Master Schedule (IMS) StopLight Report allows you to quickly understand the strengths and weaknesses of your MS Project IMS. You will be able to perform hours of analysis in a matter of seconds gaining a clear understanding of areas that need attention & areas that are already very healthy. Report results can be categorized by Control Account Manager, Project, WBS, or any other common identifier in your schedule. Thresholds can be changed and colorized to see at a glance the areas that are in most need of attention and the areas that are already good to go. Which CAM has the most tasks? Which CAM currently has the most tasks left to complete or most tasks completed? Knowing how your project is performing to its baseline is an essential part of Earned Value. 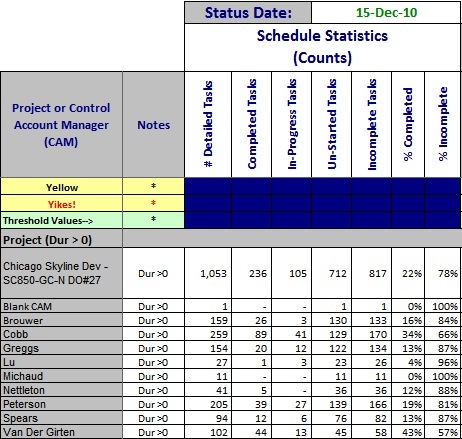 The IMS StopLight contains seven separate metrics that give insight into project performance, providing a user with an array of useful management data. 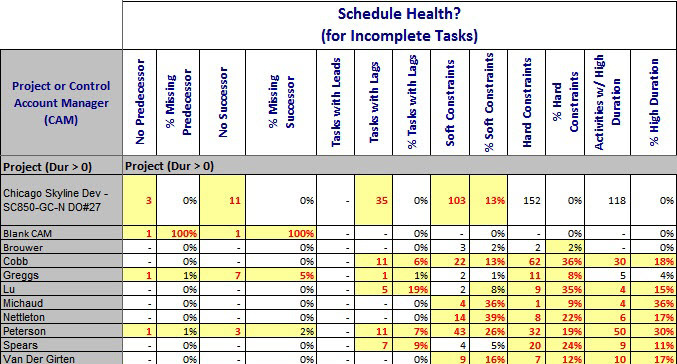 IMS schedule health is an essential aspect of any project in order to ensure that the dates and other calculated information is accurate. How many CAMs have a large number of tasks without successor preventing you from obtaining an accurate critical path in your schedule? Are CAMs over using constraints preventing the schedule from moving on its own? Who’s falling behind in their completion of tasks as compared to the baseline and hurting you Baseline Execution Index (BEI) ratio? Are these CAMs forecasting to get back on track? 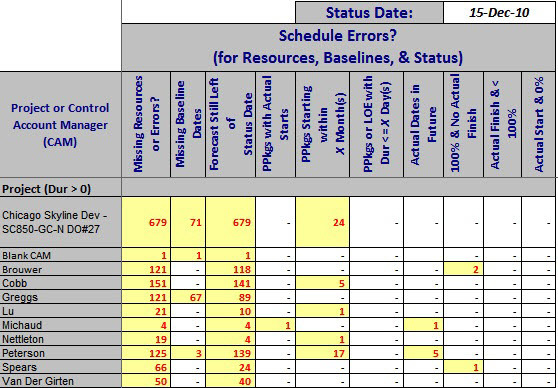 Our IMS StopLight report will identify those things in a schedule that just should not happen. What CAMs added tasks and didn’t update the baseline? Who didn’t status their schedule this week? Are any CAMs using a time machine and completing tasks in the future? Try. Whether you are a Scheduler, Auditor, or Manager, AzTech's IMS StopLight will empower your organization with a quick and easy, yet comprehensive overview of your IMS. Check out our offerings and see how AzTech's tools can help you increase productivity. So, you may be thinking...how can I try the StopLight? Contact our AzTech Tool Suite Hotline, we would happy to help assess your needs and discuss how MS Project IMS StopLight can help you! Whether you are a Scheduler, Auditor, or Manager, AzTech's IMS StopLight will empower your organization with a quick and easy, yet comprehensive overview of your IMS. 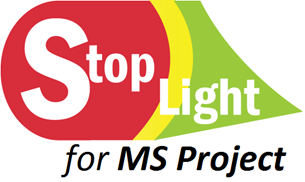 Check out our offerings and see how AzTech's tools can help you increase productivity.So, you may be thinking...how can I try the StopLight?Contact our , we would happy to help assess your needs and discuss how MS Project IMS StopLight can help you! Quickly understand your Schedule's fitness. Easily understand where you need to focus your attention to improve your IMS. Create an IMS overview, easily understood by upper management. Categorized results by control account, project, program, WBS, or any unique identifier. Hours of analysis, in seconds! Questions? See our FAQs or contact us to get the help you deserve. AzTech guarantees product satisfaction and backs our products with a 100% money back return policy. Send a request via e-mail to Hotline@goAzTech.com with any questions.